Chin Ho Kelly (Daniel Dae Kim), McGarrett (Alex O’Loughlin), Danny (Scott Caan) and Lt. Cmdr. 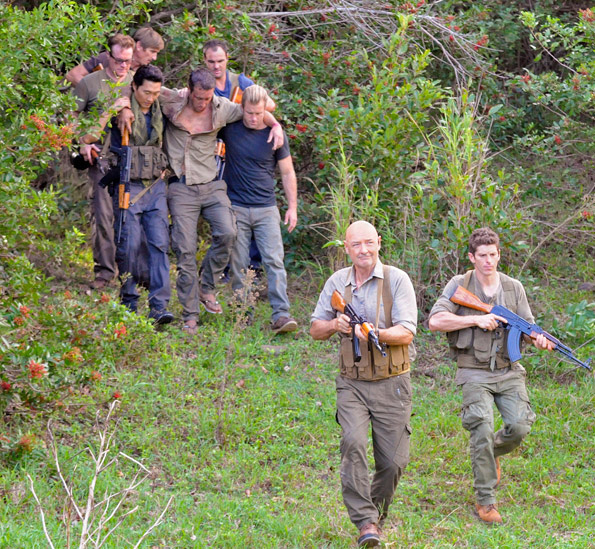 White (Terry O’Quinn) are in North Korea to help Jenna Kaye out of a jam with local rebels, on HAWAII FIVE-0. Photo: NORMAN SHAPIRO/CBS ©2011 CBS BROADCASTING INC. All Rights Reserved.